The journey to Reykjavik was one of the more pleasurable ones I’ve had at that time in the morning. We arrived at Heathrow at 6.30am, bleary-eyed and ready to face the hell of Heathrow security, only to find that things were running smoothly with barely a queue in sight. Such is the folly of flight prices these days that we had to fly in the wrong direction to Copenhagen before boarding a flight to Iceland. I slept most of the way there and on arriving we agreed it was one of the best airports to have to layover in – all clean with ergonomic seating and built with that Scandinavian eye for design. That was until we did the currency math and realised our breakfast of carrot juice, coffees and rye bread sandwiches had set us back about 50 dollars. Four hours later and we were en route to Reykjavik. That’s when we were treated to some of the most stunning scenery I’ve ever seen through a tiny window. 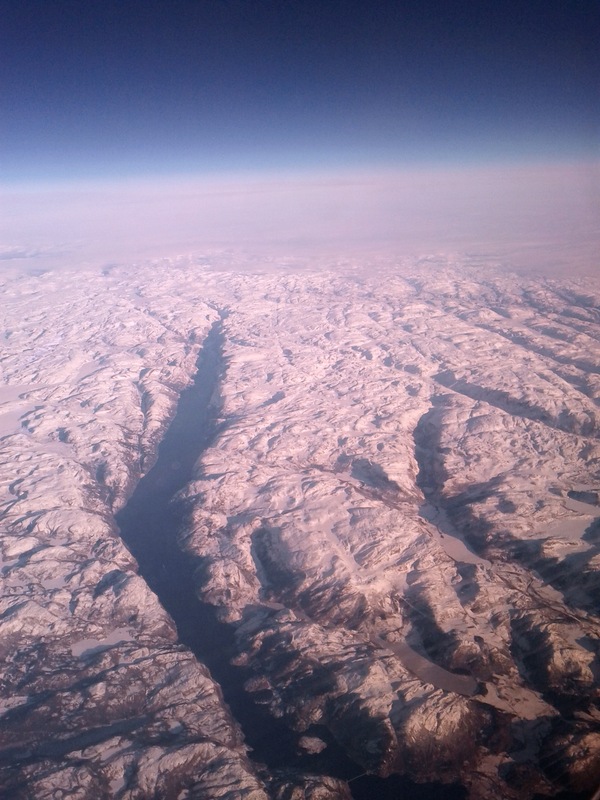 The flight path took us directly over Norway and a breathtaking ice-bound landscape. As far as I could see jagged, snow-covered mounds undulated into the distance. It was bleak, remote and beautiful. I could easily imagine there were places that not a single human has ever set foot. As we came to the coast, the landscape splintered, torn by the frozen blue of deep fjords. We started seeing more signs of civilization. A lone boat chugged up one of the channels. 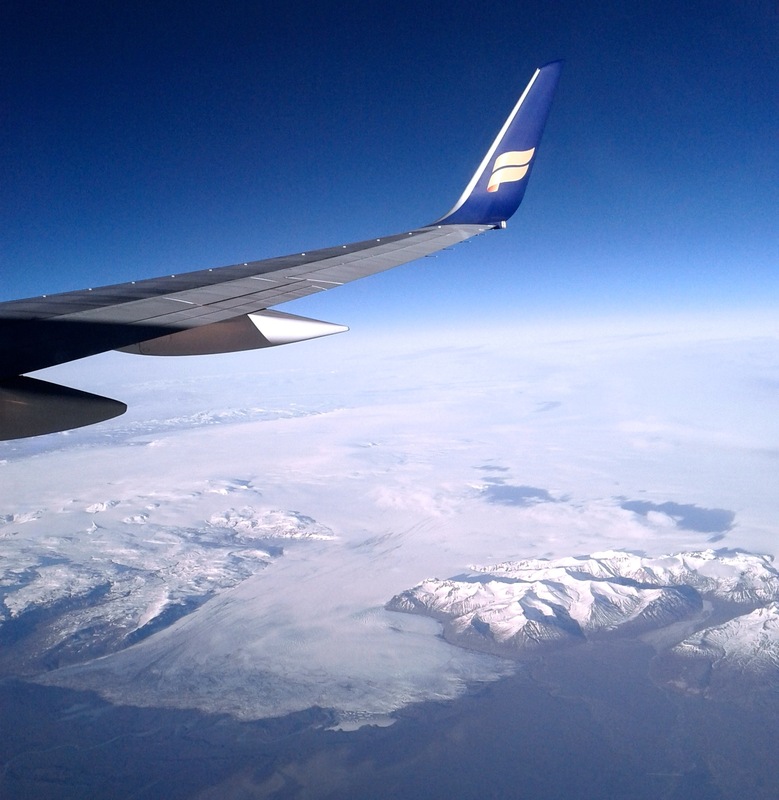 As we left Norway behind, the flight attendant announced that today was Sprengidagur – bursting day – when traditionally Icelanders fill their faces before Lent. They brought round a sampler of salted lamb, the traditional food of the day. It was a tasty surprise but I was gutted when I found out the day before had been Bolludagur – bun day – when people traditionally eat cream-filled buns. Oh well. I’d felt a little sad we weren’t to be landing in Norway after seeing it from above, but then we approached Iceland and my eyes were again glued to the perspex. 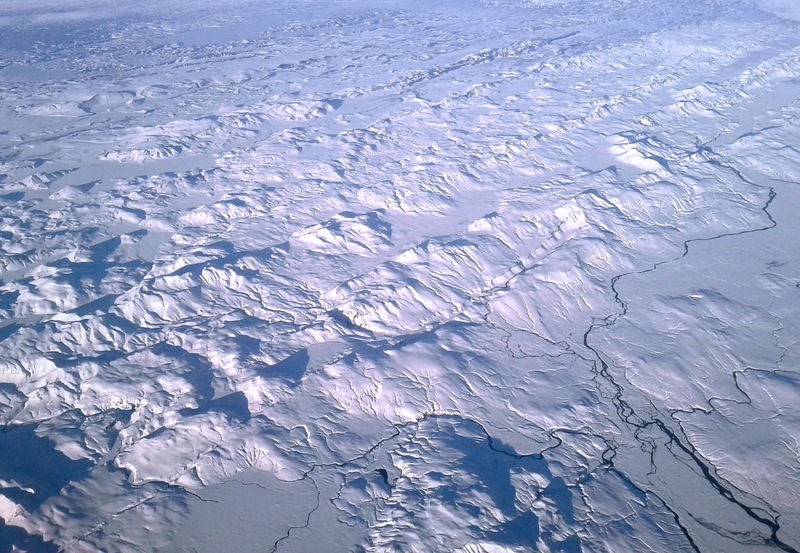 More fjords appeared followed by a country covered in pristine snow, veined with rivers and studded with the distinct shapes of volcanic cones. The jawdropping sight of a sprawling glacier spilling into the sea came and went too quickly. Then, as we approached the airport, the rugged south coast appeared with it’s black beaches and desolate lava fields. The flight had passed in a beautiful blink of an eye and then we were landing in a barren countryside of dry grassland with not a tree in sight. As the front wheels touched down, a wave of sulphurous stink rushed up my nose. The smell lingered as we rumbled to a halt. I wondered if another passenger had decided to share his salted lamb with us in gaseous form or if we’d landed in a giant volcano. Or both. Outside as we waited for the bus, I caught more whiffs of sulphur and I could have sworn I could smell the sea and a faint hint of fish. I suddenly realised we actually knew very little about the country we’d just arrived in. Our original plan had been to go to Istanbul and Iceland had been a very last-minute decision. We had one ace up our sleeve though – we had managed to tap into a secretive, underground network of folk singers whose tentacles reach all the way into the north Atlantic. That is to say, London-based singer/songwriter Leon Rosselson put us in touch with British folk musician Chris Foster and his Icelandic folk-singer partner Bára Grímsdóttir. We set up a meet in a Reykjavik pub and they proceeded to give us the lay of the land over pints of Víking beer (insider tip: it’s pronounced veeking.) I’ll ruin the cloak-and-dagger effect I’m going for here by owning up to the fact that I wrote everything down on the back of an Icelandair barf-bag (the only paper I had handy) and I’ve been carrying said barf-bag around in my handbag since. We asked all our dumb questions, got recommendations on just about everything and heard stories about Bára’s childhood in the north of Iceland. I then got the scoop on volcanoes – because on the map in my brain Iceland was a grey area labelled here be volcanoes – and Bára proceeded to tell us about recent eruptions and explain the difference between what Icelanders call “tourist” and “real” eruptions. 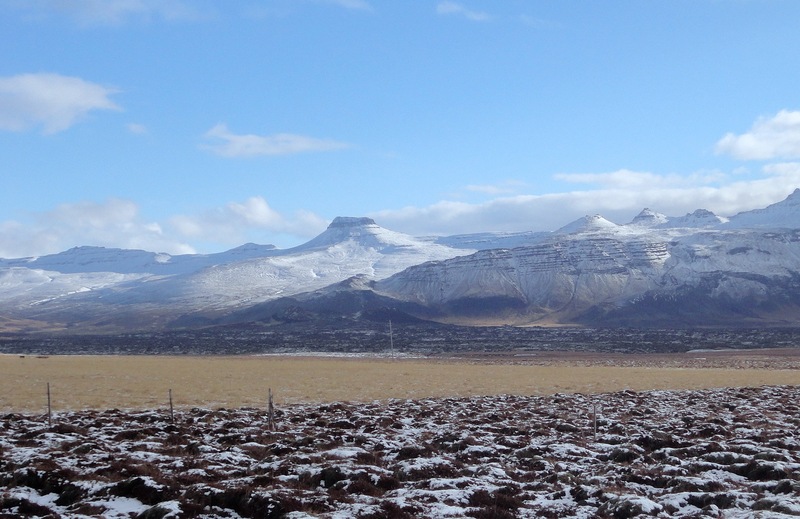 Iceland, geologically speaking, is young and restless, alive with volcanic, geothermal and seismic activity. It has the fact that it both straddles the mid-Atlantic ridge between the diverging plates of North America and Eurasia while at the same time sitting atop a giant hot-spot (or mantle plume) to thank for that. Underneath Iceland, magma wells up close to the surface, pulsing beneath its glaciers and superheating underground reservoirs. Above ground, hot springs bubble and steam and volcanoes are easy to spot, so closely do many resemble the familiar cone shape we associate with them. 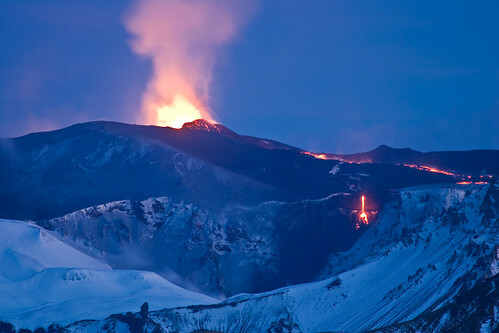 The island is laced with volcanic systems consisting of hundreds of active volcanoes. Is that a volcano? Yeah, probably. All this is a mixed blessing. 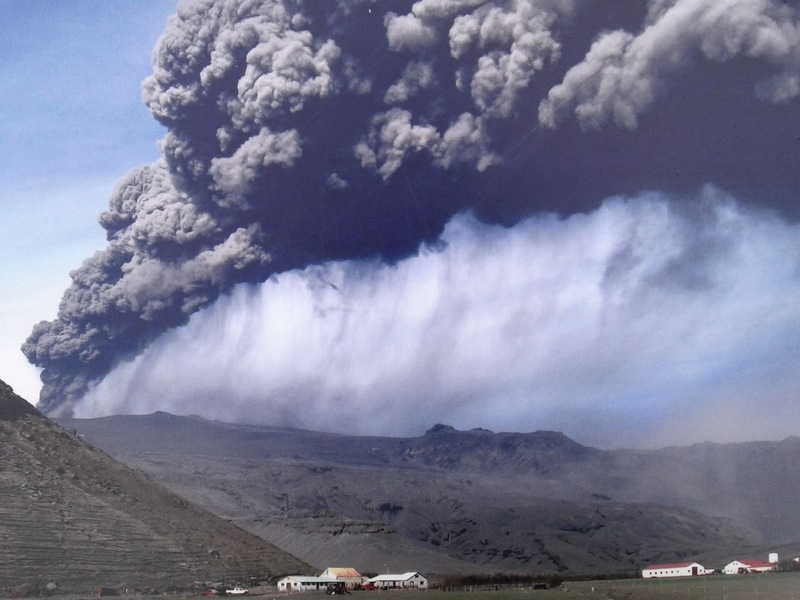 Without the hot-spot and volcanic activity, Iceland itself wouldn’t even exist but, as we all found out when Eyjafjallajökull erupted and put Icelandic volcanoes on the map, they can also be hugely disruptive – causing floods, endangering people and animals, destroying crops and spreading ash far and wide. At the same time, the geothermal activity that accompanies all this is a great boon. Early settlers used hot springs for bathing, cooking and laundry. 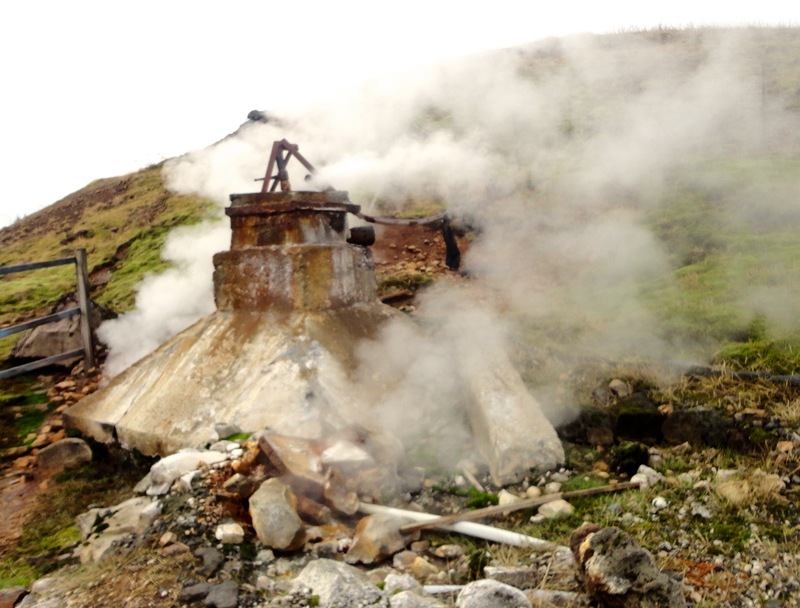 Today Iceland is literally powered by the earth and it garners the majority of its hot water from geothermal sources. Stacker strolls past a steaming hot spring. This became obvious when we arrived at the house we’d rented for the month and turned on the hot tap to find that we hadn’t left that rotten-egg smell behind at the airport. Anytime you turn on a hot tap in Reykjavik you have to be prepared for two things. Firstly, the water is scorching hot. That very same hot water is also used to heat your home to a toasty, carbon-neutral warmth. Secondly, a cloud of sulphourous steam always escorts the water out. The smell is a result of of its geothermal origin and it’s great to cover up any other unpleasant smells you may have left in the bathroom! By contrast the cold tap delivers pure spring water that tastes as clean and icy as glacial runoff. Probably because it is glacial runoff. Icelanders proudly call their water, which is free from chlorine or additives, the “best in the world”. The makers of Martin Millers gin agree – they ship over their distilled gin from London just so it can be blended with Icelandic water before bottling, claiming that the purity of the water lets the botanicals shine through. 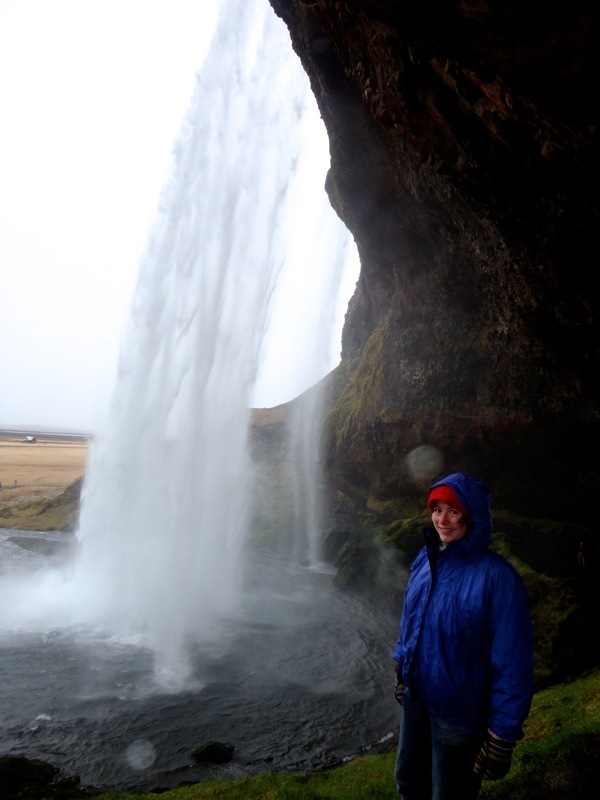 Zzella getting drenched by some quality Icelandic water (behind Seljalandsfoss). This country is so unique that even standing in front of something as commonplace as a sink, I find myself marvelling at it. With a twist of a tap I have a direct line to either an ancient glacier or the earth’s restless fire. Welcome to Iceland – the land of fire and ice. 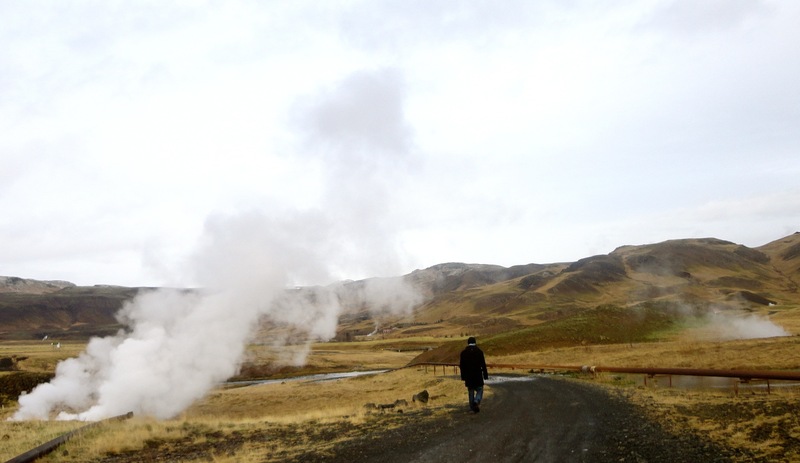 Next up in our Icelandic adventures: We go see a geezer about a geyser. Or at least we would if the blizzard would let up…. Iceland is on my bucket list. Unfortunately, I can’t afford it right now, but I’m glad it welcomed you warmly :)) Awesome photos! ← When did we start paying to be advertised to?